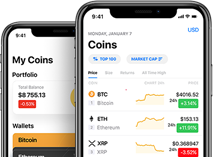 XS2 Cryptocurrency exchange is the new player in crypto markets launched by an Australian based company in 2018. This blockchain initiative by XS2 is within the Australian laws where the parent company has been registered as a Cryptocurrency Exchange. In addition, the platform has also acquired the rights to act as a Dealer Independently. XS2 also enjoys Australia’s Digital Commerce Association (ADCA) membership.